SR 653 definitely feels like a primary route, and I've suggested this extension myself on here before. Glad to see both of these possibly come to reality. Edit: Upon review of the document, I'm a bit surprised that the SR 675 and 711 corridor in Chesterfield and Powhatan wasn't even studied, as it carries over 10,000 vehicles per day east of VA 288 and was partially primary once. I agree, SR 675 and SR 711 between VA 288 and US 60 should definitely be considered for primary status given their traffic counts. Maybe even upgrade the whole thing out to US 522 back to VA 44. SR 653 to US 360 is also a good candidate. SR 620/Braddock Rd has a primary route feel to it at times but does it meet the criteria specified in the presentation? I'm surprised SR 610 in Stafford County didn't make the cut. It sees quite a bit of traffic volume, mainly military and local in nature due to explosive development and the Quantico Marine Corps Base nearby, plus some government contractors setting up shop in the former Aquia Town Center on US 1. Only rub with Va. 610 (Garrisonville Road) in Stafford County (as it relates to MCB Quantico) is that it lacks direct access to a gate. Traffic must turn north onto Onville Road (641 according to the Stafford County GIS) to get to the gate (and the Marines consider that gate to be somewhat "secondary" in nature - most traffic entering the "Westside" of Quantico uses the gate on Russell Road). Onville Road is a relatively narrow two lane affair. As you know, Van Dorn Street is one of my pet peeves. Promoting it to the primary system is nice enough, but unfortunately VDOT can't do much about a couple of the main causes of congestion on there—traffic lights in the City of Alexandria. Fairfax officials have been trying to convince the City to abolish left turns from southbound Van Dorn onto eastbound Eisenhower Avenue because the right-hand exit just north of that intersection provides the same movement, but the City refuses to do it. Abolishing that left turn would allow for increased green time for northbound traffic. The morning backup on Van Dorn usually breaks up at the Pickett Street intersection in Alexandria. Yesterday morning it was essentially at a standstill all the way to Kingstowne Boulevard (a 2.2-mile backup, assuming it began at Pickett like it usually does—I don't know for sure because when I saw the backup I went a different way). Under those circumstances, it's not unusual for it to take 45 minutes to drive those two miles. The bigger need for Van Dorn is a rebuild of its interchange with the Beltway. The off-ramp from the Beltway is failing due to traffic volumes and a generally unsafe design. But what's funny about the proposal is that when Maryland first put up their new BGSs in advance of the "LOCAL/THRU" split on the Beltway's Inner Loop they listed Van Dorn Street as Route 401 (erroneous). After I pointed out the error they fixed it. Maybe they were just prescient! I'm more surprised they didn't consider extending VA 150 up Parham Rd. It meets most of the criteria they're using, including being on the National Highway System. I'm not sure it meets their truck traffic criterion, plus I don't think Henrico County is interested in relinquishing Parham Road to the state in any case (even though VA 150 really should extend at least to VA 6, possibly up to US 250 where North Parham Rd becomes East Parham Rd). Parham Road has some sentimental value for Henrico County, to the point that the county has made documentaries about the construction of what is now East Parham Road. It may not meet the truck traffic criterion, but it meets every other criteria. And primary route recommendations don't need to meet ALL criteria...note that the two routes VDOT is recommending for inclusion don't meet the "Connect to Activity Centers" criterion. As for the sentimental value, there's nothing that says the road can't stay Parham Rd if it were to become a primary route. That'd be like saying US 29 couldn't remain Seminole Trail or Lee Hwy, or US 1 couldn't remain Jefferson Davis Hwy. I drove the entire proposed VA 147 extension northbound last night. The only change it would need is a few new sign posts to add VA 147 shields to; approaching what would be its new south end from the south there are just two US 360 shields with no room on the pole for another. Approaching US 60, there is, interestingly, a TO VA 147 trailblazer with an East banner above the shield. I meant that Henrico County would rather continue maintaining Parham Rd as an unnumbered county route rather than relinquish it to VDOT to become a state-maintained primary route, although I honestly believe it doesn't have to be that way (case in point, the City of Richmond apparently maintains the segment of VA 150 from the James River to the southern city limits...just put VA 150 signs on it and let Henrico continue maintaining it). Or maybe Henrico County could become the first county ever in the Commonwealth of Virginia to post Va. 150 as County Route 150? Complete with Henrico County pentagon route shields? I have not been to every Virginia county, but at least in the ones I have visited, I have never see a county route shield (and I have been in Henrico and Arlington Counties, the only ones in the Commonwealth that maintain their own secondary highway network). Virginia does not use the county route shield; it uses circle shields for secondary routes. Henrico and Arlington simply don't number their secondary roads, though Henrico County's secondary roads do have numbers on paper. That's because independent cities maintain the primary routes within their boundaries. Within the Independent cities, the only routes that VDOT has complete control over are the Interstates and some (but not all) freeways. Point taken about Henrico County not wanting to relinquish control. Well, yes, but the practice is still an example of a route being signed as primary but not being maintained by VDOT, so doing something similar in Henrico County isn't out of the ordinary. This would solve one of those pet peeves of mine... two parallel SR-613's on Van Dorn St and Beulah St (which predated the extension of Van Dorn St.). I know Virginia does not use the county shield - I have never, ever seen one anywhere in the Commonwealth. But since Henrico County does maintain its own secondary road network, it would seem appropriate for them to sign a major road with a county shield (and it would be pretty cool, too). Arlington County could do the same most of its share of Columbia Pike (former Va. 244). A couple of Henrico SR shields used to exist off I-295 interchanges at Nuckols Rd and Woodman Rd but are gone now. Buchanan County has a separate numbering system beyond the SR system that consists of 4 digit numbers that run well into the 5000s. I don't know who maintains them but some are paved. They are shown in later DeLormes and some are on google maps. Yeah. 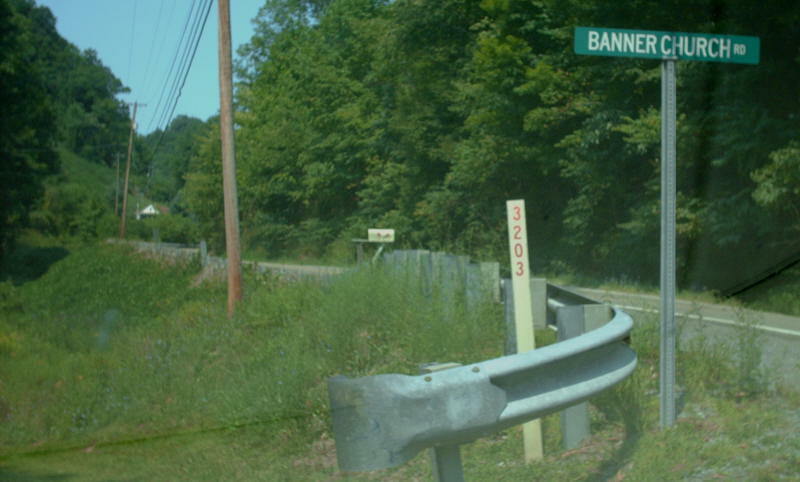 If I drive on Franconia Road between Beulah and Van Dorn (which I do frequently), my sat-nav lists the street as "VA-613" at the bottom of the screen, whereas to either side of that segment it lists it as "Franconia Rd." I was under the impression that the "613" designation does not run along Franconia Road and that they're simply disconnected segments. Once upon a time Van Dorn ended at Franconia Road, so back then it might have made more sense. The completion through to Telegraph Road is recent within the past ten years. When I moved to my current residence back in 2001 Van Dorn was not open beyond Kingstowne, other than a stub connecting to that "Crossroads" place halfway between King Centre Drive and Telegraph Road. I understand, however, that there are still other routes in Fairfax County numbered "613." Sleepy Hollow Road is one; Lincolnia Road is another. When I zoom out and look at it all on Google or Bing Maps, I kind of wonder whether all those routes were connected at one point prior to the explosion of development and the construction of Shirley Highway. A zoomed-out map view makes it fairly easy to envision how Lincolnia Road could have continued across what is now I-395, passed through where Landmark Mall is now, and connected to Van Dorn either directly or via what are now other streets in that area. I have no idea to what extent the City of Alexandria was an issue there because of how its border is a little convoluted through the Landmark area. I suspect, but do not know for sure, that the city/county line used to be further east and that the disjointed Route 613s came about in large part due to the city annexing land. On the 1936 Fairfax Co map SR 613 is shown as continuous from 7 corners south to US 1 then south and west back around to US 1 at SR 611. The 1958 map shows Alexandria expanded out far enough to break up SR 613. The VDOT on-line transportation map shows there to be an SR 613 and SR 613S. However, their "map it" feature is not working on my computer. I will try from work tomorrow. Looks like my guess as to how the "613" number became disjointed was accurate. What's really interesting to me is to see how many of those routes are still there, many of them with the same names and same numbers they still have, such as Guinea Road (651), Woodburn Road (it's not 650 anymore), and Prosperity Avenue (699). My parents have lived not far from the intersection of Guinea and 236 since the early 1980s, and prior to that we lived near Fairfax Hospital, so my eyes naturally gravitate to that area. It's funny, I just assumed the name "Prosperity Avenue" was one that was applied during the post-war suburban boom as a marketing type thing. I notice what is now Route 193, Georgetown Pike, shows up as "Georgetown Turnpike (Toll Rd.)." Thanks for that link. I love old maps, especially old maps of familiar places. What a fascinating map link. I wonder if extending VA-401 will cause the renumbering (SR-11613?) of some of these disjointed segments? Even, now, SR-613 is a pointless designation except for how it preserves a historical designation/routing. With the extension of VA-401, it would be ridiculous to have an imaginary multiplex connecting the Lincolnia Rd section to Beulah St.... using Beauregard St (which, oddly, if not coincidentally, is SR-713, not SR-613), VA-236, VA-401, and, finally, SR-644 to connect both segments. Additionally while Wilson Blvd may be an important road, it seems awash to number it the same as Beulah Rd (Lincolnia and Sleepy Hollow are fairly minor). For example, in a similar situation, in Prince William County, SR-610's discontinuous pieces (including possibly a ferry connection to FFX CO SR-610/Wolf Run Shoals Rd via Bull Run) are renumbered, from north-to-south as some SR-8xx number (Bacon Race Rd), SR-2025 (Delaney Rd), and, finally the SR-610 is retained on its southernmost section (Cardinal Drive and Neabsco Rd). Wait, what? Where is the ferry? I've never confirmed it, but near Hemlock Overlook, Fairfax County SR-610 (Wolf Run Shoals Rd) ends and just across Bull Run, in Prince William County, former SR-610 (in fact, in Google Maps, it still calls it SR-610) Bacon Race Rd begins. There must have been some bridge or ferry or connection there at some point, or else it would not have been necessary to have the road dead-ending on both sides of Bull Run be numbered as SR-610, either that or it's a mighty good coincidence. Don't forget that Bull Run is a reservoir for much of its border between Fairfax County and Prince William County. The river is impounded by the Occoquan Dam, which was built in the 1950's. Before that, the Bull Run and the Occoquan River were relatively narrow creeks, and I think it is reasonable to assume that there were bridges other than Yates Ford Road (Va. 612) above the present-day dam.